I understand there were some kids in masks and confetti was being thrown all about the place but really, unless it was landing on my Spaghetti alla Carbonara, I wasn't going to notice. Mama Molisana and her melanzana, (eggplant in Italian) we ran into her when she was buying gelato for her granddaughter and the owner of the gelataria told us Mama made the best food in the neighborhood...we totally agree, never have I tasted eggplant in different preparations and they all taste better than I have ever had before. All her vegetables are so tasty, and fantastic pizza. Aahhhh. 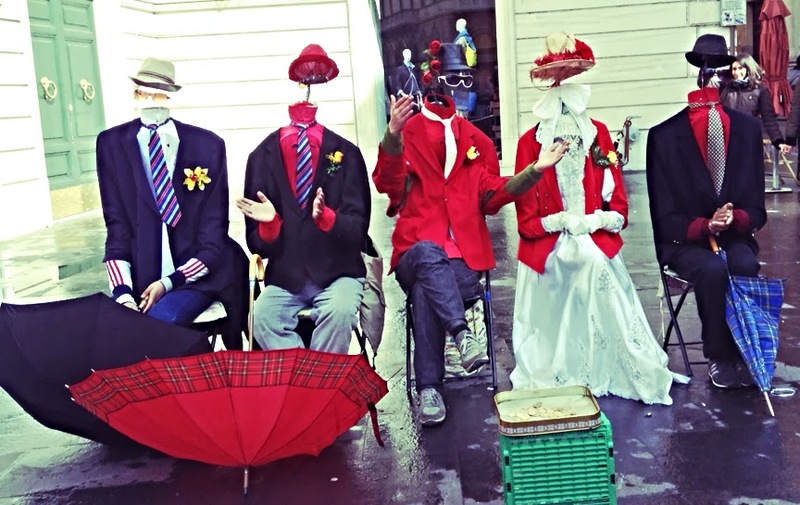 We walk about 12,000 steps a day, not for the exercise - but are led by the smells of the city. Our 2nd day here we had take away pizza for breakfast and lunch, then a sit down at dinner with wine. Pizza al taglio or rustica is the take out pizza sold everywhere in Italy. 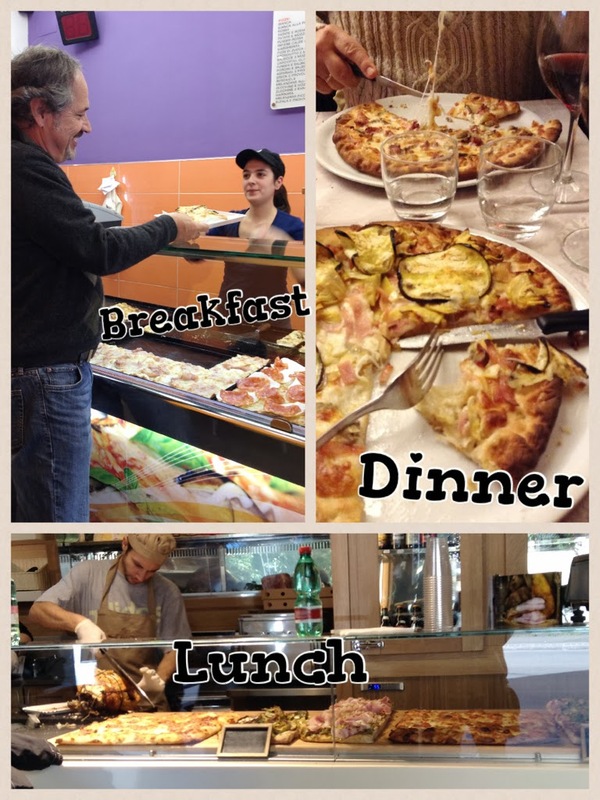 The pizza is sold by weight and cooked on a sheet pan- so yummy - most are cut sandwich style so you can take away and walk while eating. Ordering a pizza at dinner is not meant for sharing - one orders their own individual pizza and after one bite, you do not want to share and I guarantee you will not ask for a doggie bag. 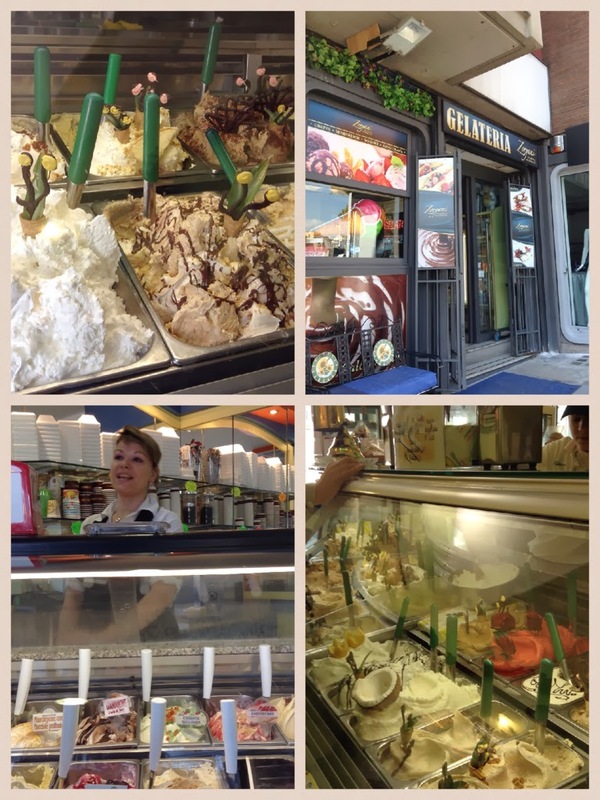 Like the Pizzerias, Gelaterias are everywhere, in fact Italy has over 35,000 Gelato shops with 3,000 + in Rome. The history of Gelato dates back to the 16th century with the court of the Medici in Florence holding a contest to discover a plate no one has ever seen. A Florentine cook Bernardo Buontalenti won the contest. One of the differences between Gelato and US ice cream is that it is churned at a lower speed and not as much air is whipped into the mixture so it is denser. Also, only 5% to 8% butter fat vs US 10%-15%. That's why we can have it everyday it's not fattening!- so yes, the first week it was our dessert of choice each day. 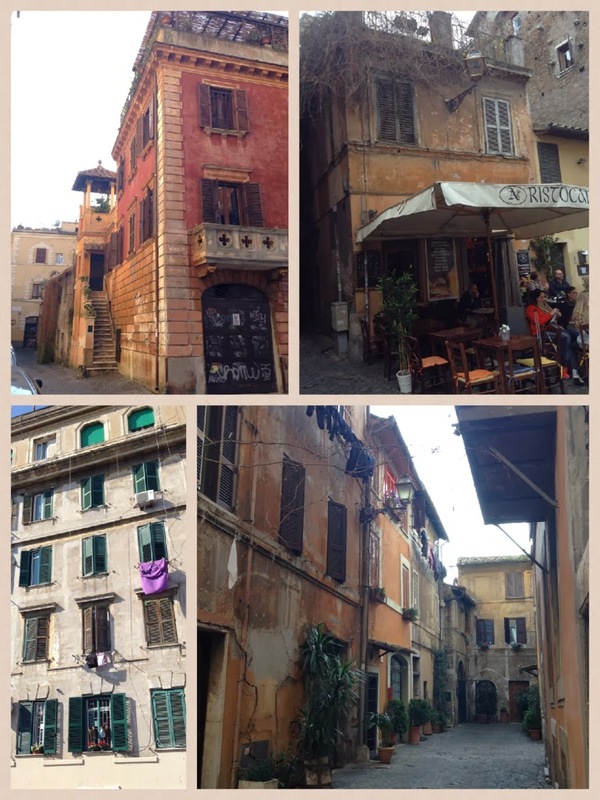 Our first week in Rome we spent walking through the parks and piazzas understanding each of the neighborhoods and people watching. 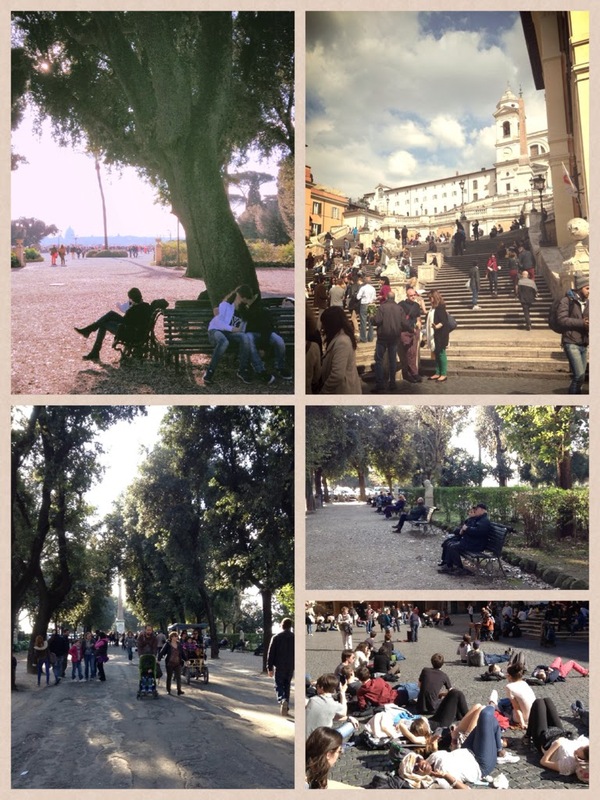 Rome is a hectic city and the locals enjoy their parks and piazzas to relax, catch up with family and friends, and maybe make-out a little. Best restaurant of the week Vecchia Roma. A basement trattoria in the San Giovanni area of Rome. I ordered the specialty of the house Bucatini al'lAmatriciana flambe with bacon and Richard the Pizza Capricciosa. 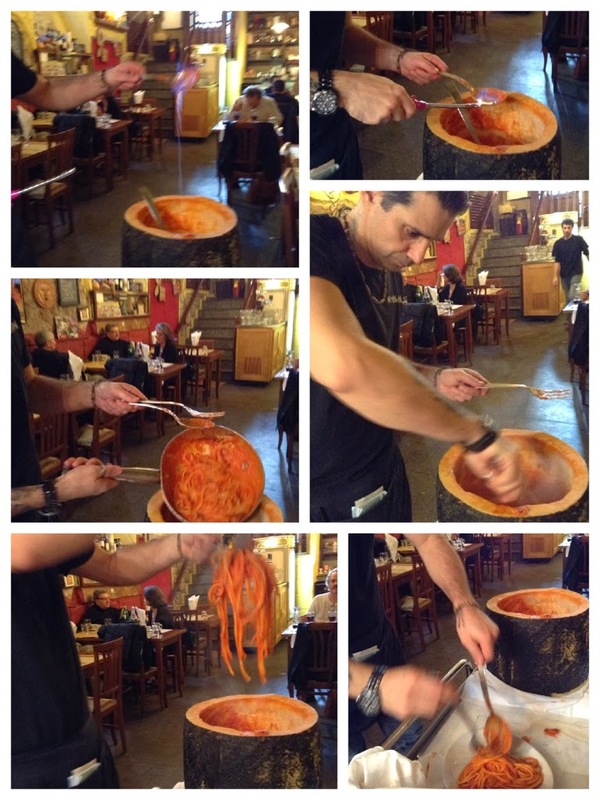 My Bucatini was made special by the big pecorino wheel that Fabrizio (our waiter) tossed my pasta into. It was the most tasteful and richest sauce I have ever sopped up the last of my Italian bread with. Quello che una grande settimana!